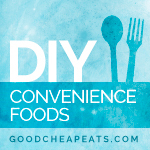 I’m having such a great time with this DIY Convenience series. 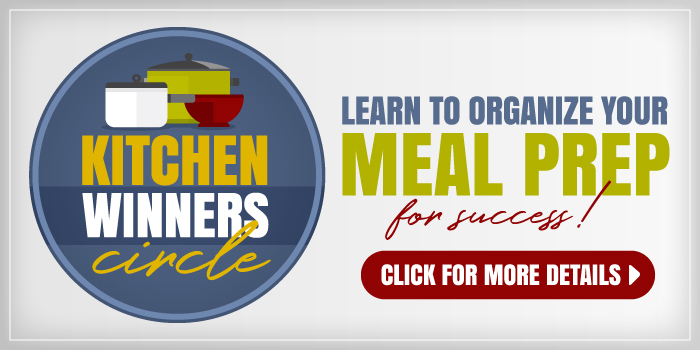 Not only do I have a great excuse to create some new “homemade” recipes, but I also feel motivated to peruse classic favorites as well as see how far we’ve come in our step back from processed foods. Homemade Pizza ranks high at the top! I’ve been making pizza at home for about 15 years. 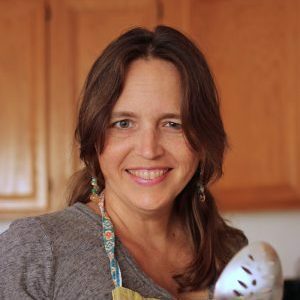 It’s been a slow evolution as I test and try new recipes and techniques, but the effort has saved us millions hundreds of dollars every year. 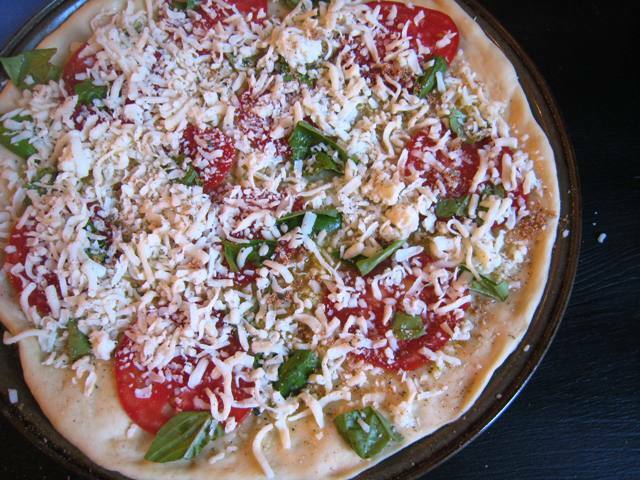 Pizza is such a favorite food at our house, it’s been totally worth the effort to make some of our favorites at home. A standard pizza parlor pizza costs about $18 or more in these here parts. I can make one for about two or three bucks. I’d say it’s a no-brainer which way to go. Usually about once a week, I mix up a batch of our favorite pizza dough. Sometimes I make them individually sized (click here to see the video tutorial); sometimes I make pan pizzas; sometimes they’re mini. No matter what form it takes, we love it. 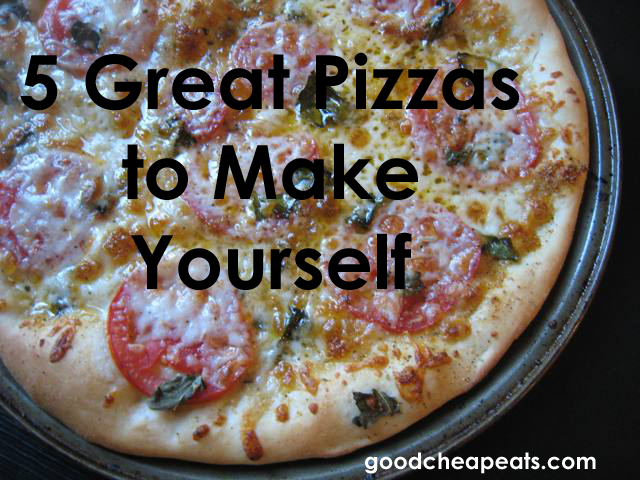 Homemade has become our preferred method of eating pizza. 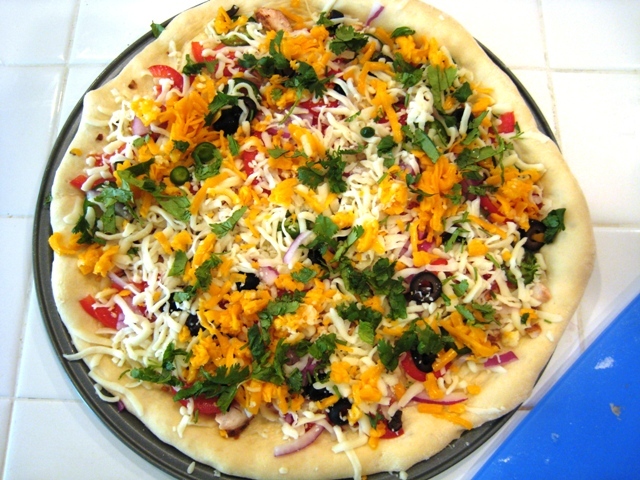 What’s YOUR favorite pizza to make at home? I love inventing new pizzas and our favorite way to cook them is on the grill. A new, fall favorite is what we call the Apple Harvest. We drizzle olive oil on the crust, and then top with thinly sliced apples, caramelized onions, and blue cheese. Another favorite we call the Hipster. We use pesto for the sauce, and top with fresh spinach, grilled veggies (usually onions, peppers, zucchini) sun-dried tomatoes, and fresh mozzarella or goat cheese. Both sound super yummy! Thanks for the ideas. Family pizza night every Friday here! Homemade with love…well…most weeks. Lol. 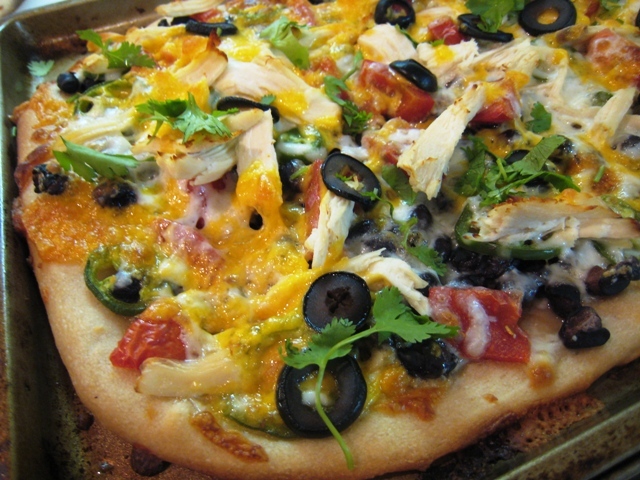 We have this pizza recipe every Friday and all six of my children love it (an unusual occurrence in this house lol). Friday night is now pizza night – no more shop bought or takeaway pizzas for us. 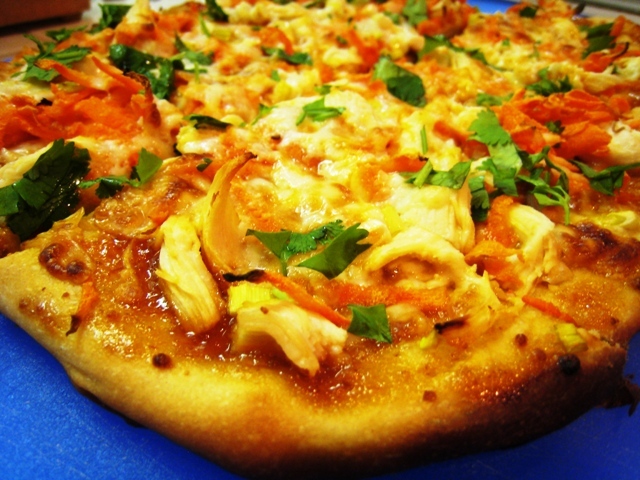 The kids love traditional tomato sauce with chicken, ham and cheese. My hubby and I love BBQ sauce so I make a homemade BBQ sauce for ours (very simple but tasty Betty Crocker recipe) and it is yummy! 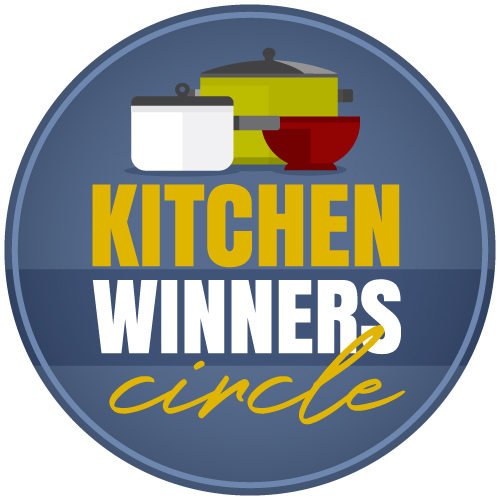 Thank you for all your wonderful recipes. Not only are these recipes healthier than the fast food option but they are cheaper too!! We like pesto pizza – pesto, onions, and cheese. Nothing really beats homemade pizza. 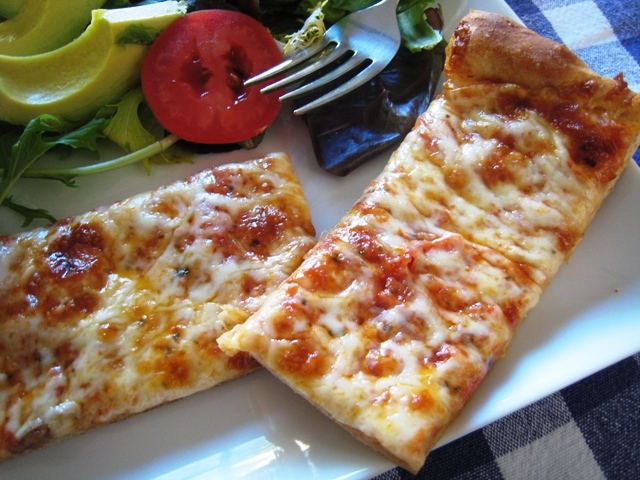 Our favorite at home is good old pepperoni and cheese. Pizza margherita is a very close second.